So time to stop prevaricating. It’s not like we’ve got a lifetime for this. The world is unravelling around us now. We need to learn to live in that unravelling world, using what we have left to best effect. We have the Mother, so much power still within her. We have the more-than-human world, still filled with secrets and teachings. We have each other, still yearning for connection and community. Together, we need to build a new world out of all that we can use, the debris of the old as well as the startlingly new and the ancient beyond memory. We have to create world that is life-affirming and celebratory. A world where everything can flourish. We can’t wait until the old world has died. We need to do it now, so we have a safety net when things come tumbling down. And so we create communities that stand strong against the evils of the old world. We say prayers to keep those communities vibrant. We revitalise old connections and add new ones. We make a new world. It starts with listening. Listening to our bodies, our hearts, and our guides. Listening to the more-than-human world around us, who by birthright are our brothers and sisters, our partners in world making. It starts with dreaming. Dreaming a new world into being. If it were up to us, the community of all beings, how would this be done? What is stopping us from creating that now? It continues with stripping bare. Leaving behind the things that were, the ways of being that no longer serve us. Throwing away what has been normal in a world of insanity, and reaching for our own healing in the flourishing of all things. 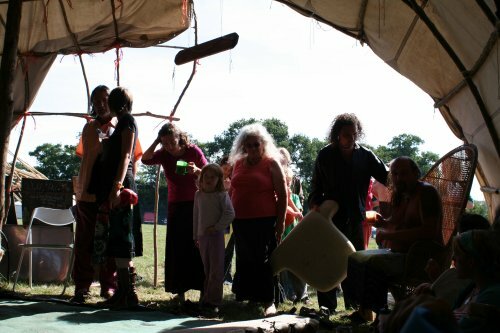 Creating new ways of living together at a Druid community camp. And we act any way we can. We make a new kind of life for ourselves, in a new kind of home. We create human communities with many links to the more-than-human world. We defend our brother and sister creatures against the last violent gasps of the old world. Many of us are doing this, right now. We are looking for better ways. We are creating this new world by the choices we make day by day. Of course we can do more. The task seems endless. But together, in community, we can go so very far. Mine is just one story of new world building. If we add all our stories together, we can weave an epic. A creation story of a new beginning in the darkest of times. A step on the Pathway of Love. The scent of hawthorn blossom is heavy on the air. Our property is surrounded by old hedges, and each one has at least a couple of hawthorn trees in full flower. In the morning sunshine, the thick, sweet smell draws me out of myself, and I dance my morning meditation with this presence all around me. The squirrels seem to feel it, too. They chase each other up and down the plum tree with wild abandon. They make me smile. Their enthusiasm for life inspires me to lean a little closer into the green vibrancy of the world around me. To let go just that little bit more of the reserve and resistance that once kept my child-self safe but now confines me to too small a life. As I peel back layers of self-protection, I meet the beings who make up my new life here at Westacre. The culture we are creating here is entwined with the seasons of planting and harvesting, of flowering and withdrawing. The hawthorn, whose flower bud we add to our salads and whose berries we will use for jelly come the harvest time, is part of this. So are the apple trees and the vegetable beds. All of us create this life together. If you would like to feel that togetherness for yourself, take a walk some time this coming week. Wander around until you meet a being who moves you. Whether it’s plant or tree, animal or rock, just spend some time with it. Let go of any defences or rationalisations, and let that other-than-human being move you more deeply. Stay as long as you like. And when you come back home, write down your impressions. Please share what you find in the comments below. We’d love to hear what you discovered. If you’d told ten-year-old me that I was going to end up with a life of gardening, DIY and nature spirituality, I would have declared you mad. I was a very quiet and shy girl whose default mode was sitting indoors with a good book. My life mostly happened in my head. And it stayed there well into my twenties. I had always been a spiritual seeker, but as I approached my first Saturn Return, my search led me to pagan ways and eventually to Druidry. Slowly but surely I started to explore a spiritual relationship with the natural world. And as I did, my mind slowly flowed out of my head and into my senses. Not that I’m an expert or anything. In times of heightened emotion or stress, I still default to quiet time by myself in a corner, preferably with some decent fiction. Every day I have to actually work at waking up my senses to the natural world. But now I love being outside. It is where I feel more truly myself, more connected and real. I do pretty much all of my meditation practice outdoors. I sit on my little blanket on the lawn and just let my senses receive what is going on around me. It grounds me and expands my sense of self. I remember that there is no real separation between me and the air I breathe. I am part of the greater whole, the mystery of Life itself. Doing physical work and keeping a garden are other things that don’t come naturally to me. But I love doing it. Even when it doesn’t take me outside, physical work gets me into my body and makes me feel alive. It’s so rewarding to be able to point at something at the end of the day and say ‘I did that!’ I become co-creator with Life’s creative force. The physical work we’re doing at Westacre is at least in part inspired by my Druidry and my desire to live more lightly on the Earth. It is my contribution to Earth healing. But as I am doing it, and as I am strengthening my relationship with this particular place and the living beings – bird, bunny and beech – that surround me here, I am also made whole. My tight shell has cracked. With dirt under my fingernails and bugs in my hair, I have become part of the natural world. Nature heals me. It makes me who I am. This time of year is just so… green. Life is fresh and new and full of promise. Flowers shine in every colour. The world is making love to itself, making love to the long day and the warm sun. Just being outside in it makes your heart sing along with the birds, who are celebrating being alive and being here. I can’t help but respond to that. I love being outside with all that aliveness, and when I let myself relax, I feel it flow into me and revitalising me. Last week, working with my spiritual family, I learned a way to take advantage of that natural aliveness for our healing and the healing of the Earth. My friend JJ led us into a beautiful meditative practice that I’d like to share with you. We started with a centring meditation of our tradition. The Magic of Connection meditation, or any meditation that brings you to awareness of your body and of the present moment will work just as well. When we all felt fully present, we chanted ‘Mother I feel you under my feet‘. This beautiful chant got us in touch with the Earth beneath us, and with the nurturing, healing power that resides there. JJ guided us to let that Earth power flow into us and heal us. We stayed with that feeling for a while, feeling the gentle but potent healing of the Mother. We then chanted again, ‘Deep into the Earth I go’, and reversed the process. Using our connection with the universe through the crowns of our heads, we let healing flow through our hearts and into the Earth. Returning universal love to the Mother who holds us despite all we take from her. We stayed with that downward flow of healing for a while, giving back to the Earth. Then JJ invited us to go outside, into the meadow, and choose a place to practice this twofold healing. I sat by some flowering bluebells and felt the strong, gentle healing power of the Earth. I felt my heart open and healing flow back through me to the Mother. Soon, a natural rhythm of giving and receiving developed. It was a wonderfully connecting and grounding experience. We ended together in a circle again, each bringing a gift from the Earth for our central altar. A sharing circle of experiences ended the practice. You can do this meditation with your group or alone. It’s very flexible and adaptable. You can leave out the chants or do more of them. You can take an offering outside with you for the spirits of place, or bring something inside for your personal altar. You can replace the sharing circle with some notes in your journal. Or you can keep to the bones of the practice. Just go outside and feel the Mother under your feet. Breathe in her healing, and then breathe the healing of the Universe back to her. Enjoy this beautiful practice. Shared with permission from JJ Howell. The Order of Bards, Ovates and Druids is quite a big part of my life, if I stop to think about it. It gives me an extended family of like-minded souls that is a source of enormous inspiration and strength. I am deeply grateful for everything it has added to my life. It is, however, a disparate group of people who live all across the UK and beyond. And although that has enormous value, I believe that in the future we will need another kind of community to help us survive the challenges to come. We need to re-build community with the people who live around us. And that’s a bit of a problem for me. I love being around people I know and trust. But being around strangers, and especially making new contacts, is a bit of a challenge for me. I haven’t really broken out of the boundaries of Westacre’s garden since we got here 16 months ago. And even after 17 years in our house in Harrow, we didn’t really get to know our neighbours. Life with my husband, my work, and my close friends, is enough for me. As an introvert, anything beyond that feels like work. Still, it is work worth doing. We would all be better off in a world where people have strong connections to those geographically close to them. Benefits go from sharing equipment (we don’t really need a lawn mower per household, do we?) and planning together what food crops we will grow (your neighbour may have more success with carrots while your garden produces great cabbages) to simple neighbourly friendship. Community can start very small. Get your closest neighbours together. I have this idea to start small. 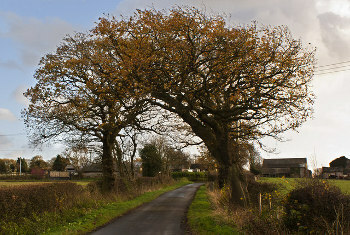 We live in a cluster of four houses on this side of the lane. We could invite just the other three couples for drinks and treats by the fire on the Summer Solstice. The thing that makes that a doable challenge for me is that at least I’ve met them all. And if that works out OK, I can take it from there and plan something slightly bigger for Lughnasadh. Will I do it? I might. It will take some courage. In theory, I know where to get that. The world around me is buzzing with it: the courage of leaves and flowers to burst out of their buds. All I have to do is sit with that and breathe it in. I know for a fact that that helps. It would be much easier, though, if I had another kind of community backing me up. If other people with the same social awkwardness would do something similar at the same time, we could egg each other on. Anyone up for that? Do get in touch. A step on the Pathway of Service. 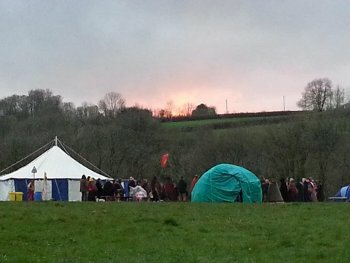 Last weekend, the first Morrigan Encampment took place on a small farm in Wales. It was the first major event put on by The Warrior’s Call – pagans united against fracking. Our aim was to do exactly that: to unite the pagans of South Wales and beyond in the fight against fracking. We set out to create a community in the space of three days. And it worked remarkably well. On Thursday evening, a few dozen strangers arrived on the camp site and pitched their tents around the central fire. By the time everyone left on Sunday afternoon, just 3 days later, a new spirit of friendship and solidarity had been forged. A large part of it was our love for the Earth and our common purpose. As pagans together, we all revere the Mother and have a love for all her children. This is our motivation for the fight against further fossil fuel extraction. And in this case, we are fighting against unconventional forms of extraction that have had dire consequences for the local environment where it has been implemented across the world. But apart from that, The Warrior’s Call used a tool kit of community building and magical working that it has inherited from White Horse Camps, the Druid community the team all belong to. These tools are tried and tested over about 20 years now, and have proven to work in this different context. Here are some of the ingredients that make up the magical cauldron of community. None of the activities mentioned are compulsory, but all of them work to bring people together, physically, emotionally and spiritually. You may want to borrow some for your own community work. The day starts early, at 7:30, with silent morning meditation. People who feel called to meditate gather in an indoor space just sit in silence for 30 minutes. It is an opportunity for meditators to keep up their practice during the camp. At the same time, the few who manage to get up that early set the spiritual tone for the day. Around 9 am, people gather around the central fire for the Dance of Life. It is a gentle moving meditation and chant that weaves us into the natural world and into community with each other. 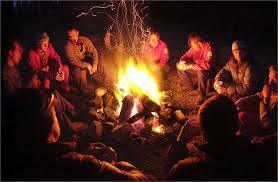 Again, a sense of togetherness is created and intentionally spread through the camp. After that, we hold a Morning Moot. Here, the practicalities of the day are discussed. The timetable of activities is announced, and practical jobs are assigned to volunteers. It is made clear that everyone is expected to do something towards helping with the practicalities of camping. Immediately afterwards, there is time for ‘camp craft’, doing jobs like wood cutting, pot washing, and site tidying. Throughout the day, events are put on for people to participate in. At the Morrigan Encampment, the events were tailored specifically to people trying to set up action groups against fracking in their local communities. These were very informative, but also showed people that they were not alone. There are other people who share these concerns and are willing to work with them. Many found this very healing. Another important thread through these camps is an overtly magical one. We put on a series of events that spoke to the emotions, imagination and spirituality of the pagans involved. It started with a workshop in the spirit of Joanna Macy‘s Work that Reconnects. This was an opportunity to work with our feelings regarding fracking and the degradation of our environment in a safely held space. A magical adventure took place on Friday evening, where groups of participants had to gather parts of magical tools that would help break the spell and release the dragon. The puzzle to put all these things together into tools that made sense, and the small cuddly toy dragon were all part of the fun. On Saturday, volunteers worked together to create a ritual out of the themes of the weekend. This is a very important White Horse Camps tradition. We don’t arrive on the field with a central ritual ready prepared. The ritual is dreamed and created on the field, with the people who wish to take part. As this camp was very short, we had some elements in mind, but we had no idea what shape our ceremony would take. The group came up with a powerful ritual where each person attending was challenged to become a warrior in defence of the Earth. The Great Big Fracking Monster – built by the children through the course of the camp – was destroyed by the elemental powers and everyone in the circle. The atmosphere in the final Morning Moot was one of friendship and mutual acceptance. The beginnings of a supportive community had been created. People shared their feelings of fear for the future mitigated by hope and gratitude. The very fact that we could be so open with each other after so short a time speaks volumes for the success of the endeavour. There will be more Morrigan Encampments. We don’t know yet what form they will take. But they will have many of the ingredients above. Every tiny ingredient adds to the cauldron where individuals are made into a tribe. With thanks to the members of The Warrior’s Call Team and all who heard the Warrior’s Call. So you have found a cause that you are truly passionate about. You may have found a tribe of people who share your concern and your passion, online or in real life. You have even identified something you would love to do for your cause. But it is still hard for you to commit to taking practical action. Don’t beat yourself up about it. Our lives are so full these days. You may have a job that demands long hours and endless energy. You may have young children who need a lot of your time. You may not be in the best of health. Or all three. Feeling guilty about not being superhuman is no use to anyone, least of all yourself. It may be that, for the time being, the best thing you can do for this world is raise your children to be resilient, big-hearted human beings. Or to take care of yourself and get better. Only you can know this. If your heart has peace with that, and you feel it is the right thing to do, go for it. But if you feel dissatisfied, and just don’t see how you can possibly make the next step, try this exercise. It may help you burrow past the blocks. First, take a week or so to notice the block that comes up most frequently for you. 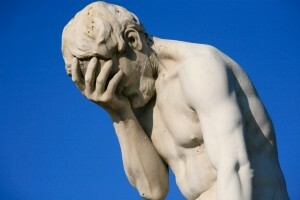 When you see posts about your chosen cause on Facebook, or hear something on the news, what is your reaction? I wish I could do something, but——-. What fills the blank most frequently? Depending on the kind of block you face, you may want to call on a friend who is not personally involved to help you brainstorm some solutions. You aren’t going to suddenly find money to give up your job entirely and live for the cause. Neither are your children going to become independent overnight. But between you, you may well be able to come up with some creative ideas to give you some extra free time, or some extra courage. Out of your list of solutions, pick two. One that you can do right now, and one that may take you until next week. With the support of your friend, do the first thing right away. This may be something like making a phone call or going for a walk. And finally, commit to your friend, and ideally to two more witnesses, people you respect and trust, to do the other thing by a set time. Such a commitment will help to get you moving. Once you have started taking practical steps to start working around your big block, take some time for a small ritual. You can use your hearth fire, a candle in a bowl, or a safely contained fire outside. Write your block on a piece of paper. Bring to mind all that you love, all that is sacred to you, all that is crucially important. Really feel how these things expand you and give you courage to take a stand. Then take out the piece of paper with your block written on it. Set it alight in your fire, and as it burns, feel it lifting away from you. Give thanks to all beings how support you in this. Make sure that you keep taking small actions to help you dissolve your block. Start doing little things for your chosen cause as well. Get the support you need from your friend and your witnesses. And watch the blocks melt and your involvement grow as you find your tribe and your motivation. A step on the Pathway if Service. If you’ve been around the self-improvement community, you know that a lot is made of one’s life purpose, and how you need to follow your heart to find fulfilment, health and happiness. As a result, lots of people spend years tying themselves in knots trying to work out what that life purpose is. I know, because I’m one of those people. But I’ve come to the conclusion that that’s not really how it works. I don’t think our life’s purpose is very well defined, or that we can find it by thinking about it a lot. Purpose is born when we find a need in the world, and when we apply our talents, whatever they are, for the sake of that need. When you find yourself in a dire and urgent situation, you will be forced to draw on your inner resources and shine. Take my friend Lucas. He is a very quiet man. He works night shifts in a warehouse for a living. For years, he followed his own path of shamanic spirituality, learning what he could and sharing the odd insight on his blog. He went on courses and was a member of pagan communities, but he’d never be one to stand out. Then the fracking issue landed literally on his doorstep. He found out that a fracking well was planned for a field just around the corner from his house. He had been concerned about the issue before, but now it had come very close and got very urgent. Lucas knew he had to step up and do something. All on his own, he sought out public information meetings in his area. They tended to be very hard to find. Hardly anyone knew they were happening, and if by chance Lucas got hold of the day and location, he had to go and seek them out in a small room in the far corner of a dark building. On one occasion, he didn’t manage to find the meeting at all. On another, he found some allies. Lucas started to leaflet his community about the fracking well that was coming to his neighbourhood. He stuffed pieces of paper into letter boxes to get the information out to people. Eventually, he got noticed by the local media, who printed his words of objection. People started to take an interest and soon Lucas found himself a leader of a small tribe of concerned citizens. People protesting at the Farndon test drill. Some Druids in the background, preparing for a public ritual. And then, when an actual fracking test went ahead in another field in his region, he found himself leading a public Druid ritual to start off the protest campaign there. Under his guidance, the people present asked for the assistance of the Elements and the Ancestors in their efforts to protect the land. Lucas would never spontaneously have volunteered for any of this. But he saw a dire need, and it gave him the opportunity to shed his inhibitions and his fears. He was able to stand up and be a leader and priest for a cause he passionately cares about. This one man’s inspiring example just goes to show that anyone can rise to a challenge in ways that they’d never normally dream of. When something stirs our passions, we find resources inside ourselves we barely knew were there. By anyone, I mean you. The world is full of injustices. You only have to click over to your favourite news site or listen to the morning news. The wrongs of this world flood us every day. Is there one close enough to your heart to get you exercised? Is there one close enough to your home and loved ones to make you take a stand? If so, please do. The world needs you. And who knows what gifts and strengths you will discover. Who knows what parts of you are destined to shine in service of Life and all our relations. We were standing in a sacred circle, five Druids giggling together, on Saturday 15th March. All around the world, thousands of people were doing something similar on the same day. And the five of us had all played a part in making that happen. It made me feel proud and humble at the same time. The purpose of our rite was to protect and heal the waters of the world from fracking. This extreme fossil fuel extraction has already caused damage to waterways across the world. And the UK government is intent on bringing it to this country. We need to do all we can to redress the damage and stop it spreading even further. The central act of the ritual, the one thing all the events across the world had in common, was to put a sprig of a native plant into some flowing water or the outgoing tide. 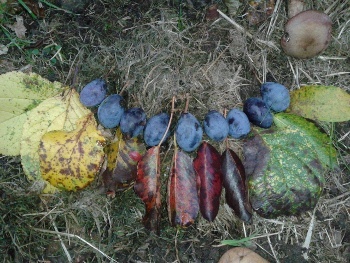 We used twigs, leaves and berries that Jan had collected in a bowl. We passed the bowl around our circle and added our prayers and blessings. Then we set a rain of oak, rowan, ash and mistletoe floating down the babbling brook to the sea. There it is mixing with all the other blessings, making our collective protection and healing go all around the Mother Earth through the water. In our sacred circle, we talked of our fears and hopes for the future. We shared food and stories of our lives. The sun joined us in a celebration of early Spring, sparkling on the flowing water. Our love for each other, of those five and the others that are part of our active group, carried us through this ritual. And it supports us as we dive from one adventure into another. The next day, I looked through the photographs people had posted on the Waters of the Worlds event page. So much beauty and healing, from nearby and very far away. We were all united in our love for the natural world, and by the miracle of water that flows through it all. And that love now flows into the oceans to return to us with the rain. It is a connection through space and time on this planet: from the stuff that comes out of our taps to dinosaur pee from long ago. Through events like this, The Warrior’s Call is becoming an international pagan anti-fracking network. If you would like to find like-minded people in your area, and keep up with news of similar world-wide events in the future, come and join us on Facebook. Make connections with people, and before you know it you will have a tribe that will support you in your own work to stop the drills. Steps on the Pathway of Service. One of the most powerful things we can do to challenge the status quo of our fossil fuel addicted world is to grow some of our own food. And it’s good for our health as well. Most of us buy most of our food at the supermarket. Just imagine where your supermarket potato comes from. It was probably grown on an industrial sized farm, somewhere in Britain. The seed potato was planted with a machine that runs on fossil fuels. It was sprayed against pests and diseases, with petrochemicals, using another machine that runs on diesel. It was harvested with yet another machine that runs on fossil fuels. It was then bagged up and shipped to a factory where it was cleaned and put in a plastic bag, made with more petrochemicals. It was then transported in a lorry to a warehouse and from the warehouse to the supermarket, and from the supermarket, in your car, to your home. Every step along the way involves crude oil. If, however, you plant your own potatoes in your own garden, and resist the temptation of spraying them with anything, this use of fossil fuel is reduced to zero, especially if you plant seed potatoes that you have saved from last year’s crop. I’m still very much an reluctant beginner when it comes to gardening. The only crop that I had any success with last year was potatoes, and I didn’t save any for seed. But for several weeks there, no fossil fuels were involved in the potatoes my husband and I consumed. And they tasted great as well. My reluctance in gardening comes from my total lack of experience, and a series of dead plants in my past. I have to pluck up my courage to get out there and do the work. And having to force myself out just makes things harder, and I end up doing less in the garden than I would like. And then, a couple of days ago, a little miracle happened. The sun was out. It was actually warm outside, early in March, and I could just feel the sunshine draw me. I followed my body’s cues and dropped my indoor spiritual practice for some time outdoors, followed by some concentrated gardening. The four small vegetable beds are now fed with a good layer of compost, ready for this year’s potatoes, and hopefully some successful peas and beans. I am looking forward to more of those days. More occasions where I listen to what my body wants to do. More times of being guided by what is going on out there in Nature to the things that need doing. More connection with the soil that feeds us all. I can feel that it is good for me in so many ways. My body gets stronger and more alive. My mind comes to rest. My soul is satisfied. And when it comes to harvest time, so will my tummy. 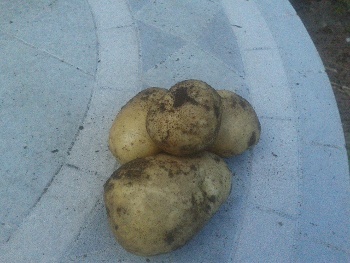 Last year’s very first crop of potatoes. Fossil fuel use close to zero. What are your experiences? What got you over the beginner’s nerves? We’d love to hear. Where did the breakfast you ate this morning come from? When you take that question back far enough, you always end up with the elements that make up our world – soil, air, sunshine, water – and with someone working with those elements to produce our food. We are utterly dependent on the Earth we inhabit, in all her natural complexity, and on each other. That much is obvious, although we don’t always live as though this is true. Also true is that we are just as deeply connected, through time, to the world of the past – to our Ancestors who passed the life force to us – and to the future – to the people who will inherit what we build. We are all one family. By studying our mitochondrial DNA, scientist have recently traced the ancestral line of ALL currently living human beings back to one woman who lived in East Africa some 99,000-200,000 years ago. That’s right. All of us, however different we look superficially, are children, in a direct unbroken female line, of this one mother. We are all genetically related. Over the millennia, our big human family has contained people who have displayed every variation of human character and ingenuity. Somewhere in our family line, there was someone who knew about whatever it is you need to know about now. And they are present right there, in your DNA, in every cell of you. And imagine: all those people who came before us have left us a legacy of stunning achievements. The world we live in would not be the same without them. Similarly, we will leave behind a legacy for the future members of our human family, whether we have children of our own or not. Whatever we do in our lifetime will be part of their reality. They are our family as certainly as Mitochondrial Eve. For their sake, it is time for us to become conscious of that family relationship and to make choices that will support their lives, not hamper them. Mitochondrial Eve - an artist's impression from www.ecofauna.com Would our common ancestress have looked like this? We are all children of the same mother. There are many gateways to the past, where we can ask for the support of our ancestors. There are also many gateways to the future, where we can go and seek inspiration from the children yet unborn. But all of those gateways are in the here and now. We can find them if we open ourselves to the reality of our interrelatedness with all of life, right here in the present. It is in the present that we make the choices that will bless the children, and use the wisdom of the parents that went before. Go to your favourite meditation space and sit down in a comfortable position. Become aware of your breathing. Let every out-breath relax you. Allow yourself to drop down into the floor or chair that supports you. When you feel relaxed, imagine yourself at the shore of a great lake. This is the lake of the Ancestors. Take some time to feel yourself present in this place. Use all your senses to ground yourself there. At the shore of the lake, you find a thread, red as blood, that runs from where you are standing into the water. Pick up the end of the thread and slowly start winding it into a ball. As you wind the thread, you feel the support and love from your Ancestors come to you along that thread. Notice how that parental love feels, that love that made you. After a while, a person emerges out of the lake, holding on to the thread. They are an Ancestor of your family. Greet them. Let them guide you from here. Perhaps they invite you to go for a walk along the shore, or to just sit down and talk. Let it happen. You can ask any questions. When your conversation comes to an end, your Ancestor gives you a gift. Take time to take it in with all your senses. Give thanks, and say goodbye, as the Ancestor returns to the lake. As you start walking along the shore again, you find another red thread. This one runs from where you are standing into the landscape around the lake. When you pick up the end of the thread, you feel a gentle tug. Hold on to the end of the red thread and follow it where it leads. After some time, you find the person who is winding in the red thread. They are a Descendant of your family. Notice the place where they are. Greet them, and again let this Descendant take the lead. You can ask them any question. When your conversation comes to an end, the Descendant has a request for you. Listen carefully and take it into your heart. Ask for clarification if you need. Then, take your leave and return to the shore of the lake. Sitting by the edge of the Ancestral lake, remember your gift and the request. Is there a way these two are related? Can you use the gift to fulfil the request? Ponder this for a while. It doesn’t matter if this doesn’t make sense immediately. Things will come clear over time. When you are ready, make a commitment for something you can do in your own here and now for the good of the children. Make it as specific as you can, and give yourself a specific time to begin. Know that you have the support of your Ancestors to draw upon. End the meditation by becoming aware of your body sitting in your place of meditation. Use your everyday senses to come home there. When you feel fully present again in our world, take action on the commitment you made. If you know of any other practices that connect us with our Ancestors or Descendants, please describe them in the comments below. As I write this, I’m waiting to hear the outcome of my friend’s court case in Brighton. This summer, he was arrested at Balcombe while protesting against fracking at the Cuadrilla drilling site. It’s got me constantly refreshing Facebook, where another friend has been updating us. My friend is passionate about the anti-fracking cause, and is working tirelessly to empower people to take action. Occasionally, he also visits the front line, and that day last Summer he was arrested. I have been working with him to create a talk to inform Pagans around the UK about fracking, and the ways to oppose it. I am doing research for our first talk at the moment – while being grilled by my very rational husband, who won’t let me get away with purely emotive arguments against the technology. To be honest, I am riding on my friend’s wave of enthusiasm. He has gathered a small group of Druid friends together and we are working to create a Pagan movement against fracking in the UK, with the occasional event that reaches out across the world. Without this supportive group of people, all I would be doing is sitting at home sharing the odd news story on Facebook. As it is, I have been to visit the front line at Barton Moss, and in less than two weeks, I will be standing up in front of a group of Pagans in Oswestry, explaining how the costs of fracking far, far outweigh the benefits. I have not been in a position where I was at any risk of being arrested. But I wouldn’t overly be surprised if, riding on the support of our little group and my love for the land, I will one day put my body in front of a truck escorted by policemen. And it takes nothing but bad luck for someone to be snatched out of the line of protesters at random, and arrested on the accusation of obstructing the police. The sad truth is that, at this moment in time, our world needs people who are willing to stand up against governments and corporations who will cause more damage to our environment despite the risks. The world also needs people who are willing to stand up against all kinds of social injustice. Don’t wait. Listen to the reaction of your body to items in the news. Join a tribe of people who are already addressing the cause you are passionate about. Let their support and the love for the world carry you. And let your voice be heard, your face be seen, your passion be felt. Steps on the Pathway of Sorrow. Fracking. Aside from it sounding like a variation on a dirty word, the facts of this technology for extracting fossil fuel send shivers down my spine. 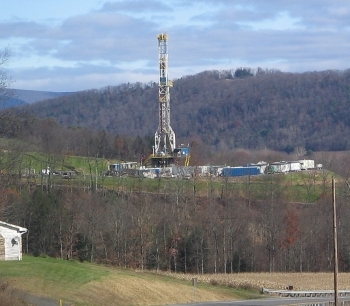 After drilling a hole in the ground, explosives are used to make cracks in the shale rock. Thousands of litres of water mixed with chemicals is then forced down into the earth, fracturing the rock even further. This releases the gas. The dirty water, with its chemicals and other substances from the rock layer come back up to the surface as well. Some of this is radioactive. This description has a visceral effect on me. Somehow, I identify with the earth, and I feel those words: forced, fractured. And it feels bad. Wrong. It is all I need to know to realise that this is something humans should not be doing to the earth. This feeling has motivated me to find out more, though. And to stay involved with a group of friends who are spreading information about it and its dangers through the Pagan community. Following this feeling, I have done some things I never thought I’d do, most notably visiting the protest camp at Barton Moss. There are other issues that touch me like this, that I can feel in my body. The very idea of there being no polar bears or tigers one day fills me with sadness. You probably already know what some of these issues are for you. Feeling this sorrow for our world is normal and natural. 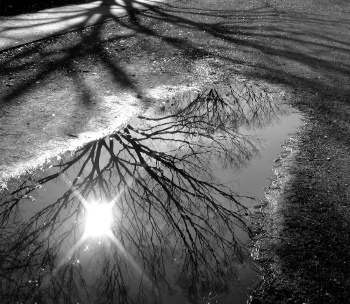 It is Nature’s way of telling us something is not right, something needs to be done. So don’t be afraid of the feelings. The first thing to do is to acknowledge and allow the feeling, as in the practice below. When you have worked with the feeling, and feel more comfortable with it, you can let it lead you into action. There will be other people who are concerned about this issue. Find them – they very likely already have a presence online – and join them. Find out what you can do to help. Doing something positive is the best medicine for your sorrow, as well as for its cause. To start with, it is good to practise in a safe space. Ideally, go to the place where you usually do your inner work. Choose somewhere where you can be safe and undisturbed for a while. If you know how, set up a sacred space by casting a circle. Alternatively, just sit down in meditation and become aware of your breathing. Just watch your breath coming and going. Let yourself relax into the floor or into your seat with each out breath. When you feel calm and relaxed, let your breath create a bubble around you. Let it slowly extend, with each out breath, from the centre of your body. Don’t strain, just let it lightly expand until you are contained comfortably within it. If it feels right, let it expand to fill most of the room you are in. This space is safe and protected. Here, you can explore your own inner world without fear of intrusion. When you feel centred and settled, let an issue come to mind that brings up difficult feelings for you. Just allow yourself to think about it. As you do, notice how your body feels. Notice your breathing – it may become shallower. Notice any tightness in your muscles or in your heart area. Don’t pull away from these feelings. Just notice them and allow them to be. Explore the feeling in your body. Find its edges, its texture. When it feels really clear to you, mentally poke it. I like to imagine actually poking it with a finger. For me, this causes the feeling to start moving, to start flowing, like liquid, through my body and then dissipate. Try it. Experiment until you find a way to make the feeling flow. Keep working with this. Keep touching the feeling and making it flow until you feel a lot lighter. As you work, images may come up. Just notice them. Don’t get too involved with them. Notice and let them flow with the feeling. When you have had enough, become aware of your breathing again. Breathe into your body. Feel it sitting in your room. Become aware of sounds, scents, and textures around you. Breathe gently, and with each in breath, bring the bubble you have created closer to you, to a distance where it feels normal for you. If you cast a circle, close it now. You may want to make some notes about any images or impressions that came up. This doesn’t make the feeling go away. It does give you space to allow the feeling to flow, so it doesn’t become stuck in your muscles or other body parts. It also means you can now work with this feeling more constructively, letting it flow as it comes up, and following it to right action. If you try this exercise, do let me know how it goes. If you know any other ways of working with feelings, do please share them below. We all need to learn from each other. Working with your emotions. A treasure trove of ways to accept and work with your emotions as a valuable resource for life. I don’t particularly like the way it’s framed around ‘success’ and gender (and don’t get me started on robot emotions), but if you can live with that, there is much here to explore. How to understand, identify, release your emotions. Another great resource for getting to know your inner world and let your emotions flow. Difficult emotions. The Buddhist way of observing, accepting and releasing emotion. For the first time in the New Year, I managed to do one of my little solo rituals in the garden. And as soon as I started, I realised how long it had been and how much I missed it. From the moment I reached out to the beings of the garden around me, I felt a familiar sense of centred calm come over me. As I walked the circle, weeks of tension melted from my muscles and I came home to myself. How many times must I let this happen to me before I remember how much I need my practice? Deliberately connecting the spirits of tree and herb, of light and soil, opens my senses to the beauty around me. 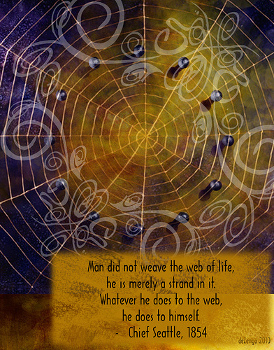 It reminds me that I am part of the Web of Life, of the Wholeness of Being. It opens my heart to the love I feel for my world. Because love is what it is. 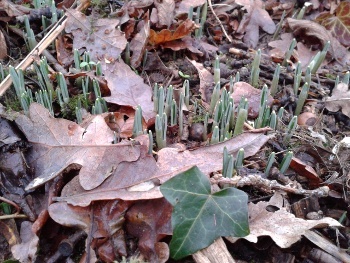 This feeling of joy at seeing the very first spears of snowdrop and daffodil pushing up through the cold ground. The awe at the colours of a sunset, and the wonder of seeing a flock of lapwings veering in and out of existence over a field at dusk. These things have the power to break me open and let me fall in love, again and again, with the beauty of the world we live in. In the Four Pathways to Connected Living, the Pathway of Love is first and primary. Love for the natural world, for people, for everything that is vulnerable and precious, and awe-inspiring, is the beginning of a journey to active engagement in protecting those things. Whatever cause we are drawn to, the initial motivation to get involved comes from love. Letting our senses fill with this kind of unconditional love gives us so much strength. It can inspire us to do the impossible for this world, the one home we have. It can keep us going when the road seems endless, the task hopeless. It can make us brave in the face of despair. And it can heal our wounds when sorrow finds us. Because, of course, loving fully makes us vulnerable. We will weep at the destruction of so much beauty, at the injustice done to so many. Sorrow will be a part of our journey. Taking the consequences of that love and that sorrow, living by what they tell me, will take more courage than I have on my own. But that is how we transform. And that is how we learn to serve. So here I stand, at the beginning of a new year, holding my love for my world close. In community with my brothers and sisters, I will stand for what I believe: that every living being has a right to thrive. That every part of this great Web of Life is precious and needs to be protected. A step on the Pathway of Transformation. I love the New Year. It feels like an opportunity to begin anew. Dreams and intentions feel fresh once more, and old routines can be dusted off and revived, transformed for a new purpose. This New Year is extra special, as there will also be a New Moon on 1st January. Its energy will strengthen the feeling of renewal as I step deeper into a life of commitment. My greatest concern for the future is the global challenge of climate change. I know that in order to protect our planet, ourselves, and all beings who live on the Earth from the worst effects of our changing environment, we need to keep fossil fuels in the ground as much as possible. We need to use kinder ways of powering our lives. The Westacre project is our way of reducing our energy requirements. In 2014, we will be doing most of the major building work for our house renovation. We are aiming to cut out our need for fossil fuels by heating our house with solar hot water. We already buy our electricity from a green power provider. The UK government has different priorities, though. Rather than keeping fossil fuels in the ground, it has embarked on a drive to exploit as much of this island’s fossil fuel as possible. Even if that exploitation entails highly controversial extraction methods that endanger the countryside and threaten to poison, our land, water, and air. It seems insane to me that this late in the game, when the consequences of using fossil fuels are obvious and dominating the international news ever more frequently, we should be desecrating the land in order to get more. That, and the obvious conflicts of interest at the highest levels of government, makes me livid. And I need to do something about it. Together with some Druid friends, I will be going out to speak to pagans across the country. We will tell them about fracking, and about what we can do, together, to defend our land and our planet against its threats. In 2014, I commit myself to keeping those fossil fuels firmly under Britain’s ground. Anti-fracking activism isn’t exactly my natural element. I like to keep myself to myself, and stay far away from trouble or conflict. But this is so overwhelmingly important that I need to put myself out there and shout with the protectors until we are heard: Frack off. Take your drills off our land. I am going to need all the help I can get. I am drawing close to friends, making community around this issue and our belief in the sacredness of the land and all beings we share it with. I am calling on the spirits who guide me, asking for strength and inspiration as I step into the unknown. My spiritual practice will be a succession of gateways, of new beginnings, stepping into new strength each time. As you become aware of the injustices that happen around you, you also will feel the need to find transformation. As you step into situations you have never faced before, you can consciously create a gateway where you leave behind what holds you back, and embrace the strength that is yours. And it doesn’t need to be the New Year for you to do so. Any moment of change, any major point on the Wheel of the Seasons, any significant phase of the Moon can be a moment of transformation and renewal. This year, take every opportunity to walk away from the limits you impose on yourself, and to step into your greater strength. Any of those moments, whether it is a Waning Quarter Moon, or the great festival of Beltane, is a great time to create a personal gateway of transformation. All it takes is a little thought and preparation. – Where do I want to be? What is it you are preparing for? Do you want to prepare your first ever vegetable patch for planting this Spring? Do you need to broach a tricky subject with a loved one? Do you want to make your first foray into front line activism? Whatever it is, be very clear about what you want. - Where are you now? A complete novice in gardening? Very averse to conflict? Not in any way physically brave? Don’t judge yourself for these things. Just take factual stock of what is true for you right now, and love yourself for who you are. – What do you need to get from here to there? What qualities would help you do what you need to do? Patience? Curiosity? Passion? Courage? What do you need and why? And what do you need to let go of? Usually these are stories of inadequacy. Next, create a symbolic gateway, or find one in nature. This can be as simple as two stones to walk between, or a line of autumn leaves to step across. If it’s a big gateway you are passing through, you may wish to make an archway from hazel branches, or use a natural gap between trees or rocks. Now you are ready to walk into your new reality. Begin by standing some distance away from your gateway. Feel into your body, your mind, your emotions. Be with yourself as you are right now. You are a wondrous weaving of past, present and future; of the gods, the ancestors and the elements. Slowly walk towards your gateway in your own accepting company. Before you are ready to cross the threshold, let go of any feelings of inadequacy you may carry. Then, send out your prayer to the four directions. Ask for the qualities you need from North, East, South and West. Face in each direction in turn. Sense these qualities flowing towards you. They are part of what it is to be alive on this Earth. They are part of Nature and part of you. Breathe them into yourself, strengthening the seeds that are there already. Now face your gateway. Visualise your purpose beyond the threshold. See the place where you want to go: the difficult discussion, the vegetable patch, the activist front line. Bring your qualities with you, and step into that place. Feel yourself present there. Give thanks to all the spirits who helped you cross that threshold. Honour them as you let go of ritual time and space, and manifest your purpose in the world. Whatever your challenge this New Year, this New Moon, or at any time throughout the year, try this ritual. And let me know how it goes. Today, I realised something. The way to make community is to join one. Or several. For months now, I have been working on this series of posts, collecting and creating resources that keep our souls resilient in challenging times. When I started, I was hoping that people would really take to the idea and start contributing their own practices, or things that have inspired them. That a community would naturally form around these ideas. To some small extent, this has happened. When I have explicitly asked, some friends have added inspiring links and ideas to the comment boxes of my posts. And they have been gratefully received. But very few people have shared my posts on social media, and no lively conversation has started up. Meanwhile, though, friends of mine have become involved in protests against fracking, one of the latest and more destructive ways to obtain fossil fuel. One of them had the wonderful idea of bringing about a national ritual to protect this island from fracking. The Warrior’s Call caught on and went viral on the internet. As well as the main event at Glastonbury, dozens of other rituals took place across the globe. Warrior's Call ritual for the protection of Albion against fracking. A community forming around a cause. More activities are planned. 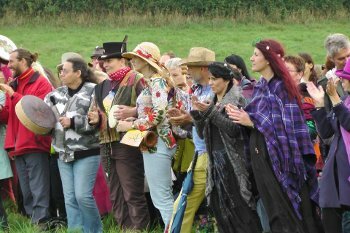 The Warrior’s Call aims to become a coalition of pagan groups that oppose fracking in Britain. Right at the fracking front line, in the Balcombe protest this summer, fellow Druids created a sacredly held space where protesters could come and rest and recharge their spiritual batteries. This group has become known as Druids Against Fracking. All over the country, small local groups are starting up, aiming to inform people about the global and local dangers of this extraction practice, and to organise resistance against it. Some time ago, I realised that my idea for this collection of resources, and my dream of helping people to keep their souls resilient fits perfectly into this community of resistance. This is a real front line, where people risk injury and arrest for their love of the land. I can do something here. What I realised today is that, if my idea is useful, this is the place where it will be proven. I need to put myself in places and situations where I can offer practical support to real people. If anything can get a conversation going, this will be it. So I have offered my support to this cause. In the coming year, you will find me at some of the events organised by The Warrior’s Call. I’ll be contacting a local group close to me. And I may even be found holding sacred space for people at the front line, depending on distance and time available. The nature of this particular cause seems to encourage coalitions of small groups to grow spontaneously. There is no big monolithic organisation that organises all actions against fracking. This is a good thing. One large tree doesn’t make a forest. 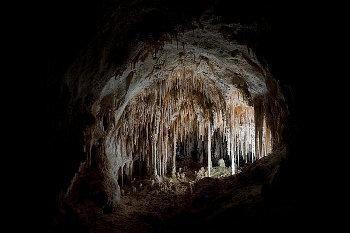 It is made out of many trees, shrubs and herbs; out of animals, birds and creepy crawlies. Out of earth and wind. 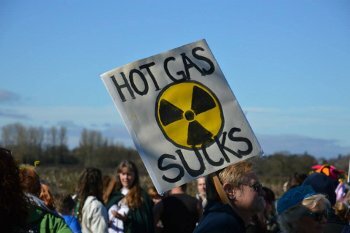 In the same way, each little group has its own energy, its own things to contribute to the larger cause of opposing fracking. Together, we make a healthy green forest of resistance. 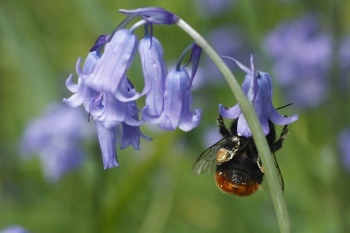 If Westacre and its web presence can be just one flowering plant in that forest, a bluebell, or even a hawthorn perhaps, that will make me very happy. As long as I, and the people who choose to join in the conversation, can make a real contribution for the protection of the land I love. As you can see, making community is not a topic I can claim great expertise in just yet. If you have experience in this area, any tips or advice, please share them with us in the comment section below. How to create a community. When we started thinking about our Westacre renovation project, I saw it as an opportunity to educate and inspire people. I assumed that we would have plenty of time to get our story out there and motivate people to adopt some of our solutions. Then, last week, I read an article by Naomi Klein: How science is telling us all to revolt in the New Statesman. It shook me. Although I have known for a while that we are running out of time, Klein’s writing brought it home to me that we probably already have. It is too late to gradually change our society and make it sustainable. Big shocks to the way we live are now unavoidable. The only thing that can stop the industrial growth society is revolution. The thought saddened me for days and made me lose sleep. I found myself mourning the loss of the idea that we would have the time to make gentle changes. I felt angry at the people in power who have known about the facts of climate change and peak oil for about as long as I have been alive and buried their heads in the sand. I felt frustrated with our consumer society where we let ourselves be lulled asleep by material possessions and celebrity gossip. I felt overwhelmed with the enormity of it all. We all get these feelings. We live our lives, get on with our business, and then suddenly, out of the blue, an item in the news or a conversation with a friend reminds us of the profound brokenness of our world. And it touches us, it wounds our souls. So what can you do with these feelings? In our society any negative feelings tend to be denied and hidden. We like to pretend that we are all constantly happy and upbeat. When personal tragedy hits, we’re told to get over it and move on, preferably without inconveniencing anyone with our sorrow. When our sadness goes beyond our personal lives, and touches the world to which we all belong, the feeling is barely acknowledged as real. The only accepted response is to deny them and medicate them away with too much chocolate, too much television, or too much alcohol. Medicating our sadness, however, is one way to dilute the power we all have to creatively engage with our world and do what we can to make it better, to heal the damage we have done. Beneath our sorrow lies great power, if we dare to walk through the dark feelings. My instinctive way of dealing with such feelings, beyond talking to like-minded friends and lightening the burden by sharing it, is to take them to my Goddess in prayer and ritual. At Samhain, I simply sat in meditation, lit an candle, and called on my Lady. She encouraged me to sit with the feelings, to allow them to flow through me without censure or attempt to make it feel better. It was a hard task. The feelings took me into darkness, a sense of hopelessness for our world. It felt heavy and oppressive, my candle barely adding light to the gloom. But I stayed. And as I sat, slowly but surely, beneath the gloom a tiny light began to shine. Hopelessness was transformed into a sense of urgency. I knew that there was only one choice: I need to do what I am already doing, but with a renewed focus. In light of the disaster that is upon us – unseen environmental and economic turmoil because we have failed to avert the consequences of our actions – would you please help me? Help me build this resource for people facing the reality of our wounded world. Add your own practices, and things you have found on web sites or in books. Put them in the comments below, properly credited. Together we can make a wonderful collection of practices that will support us in living fully, through the coming storm and beyond. The following is a practice that will help you connect to your true feelings about environmental and social issues, and to see them from many perspectives. You can do this practice in a group as described, or as a writing exercise on your own. If you are writing, give yourself plenty of time. This practice is described inWild Earth, Wild Soul, a Manual for an Ecstatic Culture by Bill Pfeiffer. This exercise brings abstract information into the heart and expands one’s sense of self. It enables people to better t rust their “gut” and experience a variety of perspectives in a short period of time. Have people pair off if they have not done so already. Partners sit face to face with enough distance between pairs so they won’t distract each other during the process. Have each pair choose who will go first, and explain that this person will be the “speaker” responding to a series of prompts spoken by the facilitator. The other person will listen with full, silent attention to what is being said. This is not a conversation! Then the partners will trade roles. Ask everyone to take a minute to reflect on an ecological area of personal concern and the feelings that it evokes. 1. Passionately describe an ecological problem. This is an opportunity to let go of your inner censor. Experience yourself speaking; feel what you are saying. 3. Speak in the voice of someone you think is the cause of an environmental problem. For instance, become a corporate executive for a large oil company, or a logger, or a nuclear plant worker. 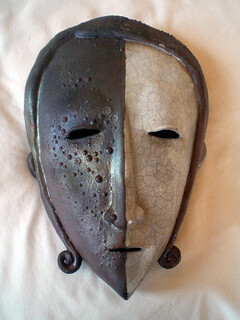 Again speaking in the first person, explain who you are and what you do, feeling that you are completely in the right. Use your flexible intelligence to “become” that person. Really get into it. Have the partners switch roles, and repeat the series of prompts for the new speakers. I’ll tell you when I find some. Please let me know of anything you find. I’d love to expand this section. ‘All our relations’ is a famous phrase. It comes from the Lakota tribe of North America and invokes a profound truth our own culture has forgotten. We are one big family. All of us who live on this Earth are brothers and sisters, whether we are human, animal, plant or mineral. All of us are made out of atoms and molecules that came form the biosphere of this planet. Nothing about us is alien to this place. We didn’t come into this world, we came out of it. We belong to this stunning marble in space, and so do all the other beings who live here with us. Over centuries, perhaps millennia, we humans have got a little big for our boots. We have imagined that we are somehow separate from the Earth. We think the resources of our planet are here for us to use as we see fit. We believe that our big brains make us somehow superior to everybody else. But we’re not. The way we are treating our planet, our home, our Mother, is causing so much damage we are putting ourselves and many other species in danger. We are learning, rather late in the day, that everything is connected. When we destroy a habitat, a species, a landscape, we destroy a part of the planet’s ecology, part of the living Earth, part of ourselves. We need to turn the course of history around. We need to find a way of living with each other and with all our relations. For the sake of all beings, we have to stop hurtling towards destruction and start moving towards life. We have to work towards the well being and the flourishing of all our relations. I was discussing the badger cull with my husband just yesterday. He felt that the plight of the badgers was a small problem in comparison with the greater challenge of climate change, which is potentially vastly more destructive. 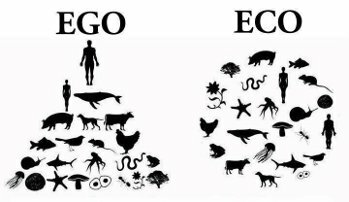 My feeling is that both are a symptom of the same problem: we are using the Earth for monetary benefit rather than working for the good of all of us. When we make decisions from the aim of maximum well being for all, the way becomes very clear. The choice between culling badgers and vaccinating them against bovine TB is simple. With vaccination, the badgers stay alive, the cows don’t get sick, and the farmers can sell their beast at the market rate. The well being of all concerned is served. The same goes for sinking oil or gas wells in pristine natural environments, whether that is the English countryside or a stretch of the Amazon rain forest. Destroying a landscape is not good for its plants, animals or humans. And the fossil fuels gained will cause problems on a vastly wider scale. The choice to leave the stuff in the ground should be obvious. What would happen if we all began to live by this simple principle: to make decisions that will enhance the well being of all? What would our world look like? What would your life look like? What would you be doing with your time? At this time of great need, we all need to think about this. Unfortunately, the work that allows us and our world to flourish doesn’t usually bring any great returns. Artists and ritual makers will tell you this. But all our relations, all of life on this planet, needs for us to make the right choices. Can you dedicate at least some of your time to helping the world flourish? I firmly believe that the best way to do this is to find the work that helps us flourish, too. What makes your heart sing? What work draws you? What is your passion? And how can you use that for the wellbeing of all your relations? We flourish where our talents and the needs of the world meet. – after Caitlin Matthews. Finding meaningful work: 10 ways to recover a sense of calling in your life. Tips on how to listen for your own passions and preferences. How to find your purpose and do what you love. Seven short pieces by well-known people about finding your purpose in life. See if any inspire you. Jennifer Louden. This woman is responsible for much of my spiritual journey over the last 20 years. And she gets me through the nitty gritty of living from the heart day by day. The link goes to her blog. Over the last couple of weeks, something has subtly changed. I have come to trust Life and accept all aspects of myself to a greater degree than I ever have. I stand in the world with more confidence than ever before. I have learned that I need this trust and acceptance in order to be able to listen to the signals of my body without fear or avoidance. Despite this new confidence, I still seem to have difficulty remembering to listen. The habit of just scooting through my life regardless of what my body is trying to tell me is deeply ingrained. Over-riding signals of tiredness or illness in order to get things done is second nature. Thankfully, the spirits who teach me have a solution. They have presented me with the reality of my garden, and with a way to use it as a training ground for deeper awareness. Potentially, the Westacre garden could be the living heart of my practice and my life’s work. The changing seasons and their gifts have the capacity to shape my days, inspire my writing, and guide my spiritual growth. It could be the centre of my life. If I am part of this world, an inextricable organism in the greater Intelligence that is this living Earth, then my life is an extension of the soil I live on. And the garden I own is an extension of my own life and creativity: the soil that feeds me and is tended by me. But the truth is, I’m a little scared of it. It’s a big garden. And I am a very inexperienced gardener. So much so that most of the seeds I sowed in the spring came to nothing. The abundance of Westacre’s harvest mostly came from the fruit trees, who produced a glut of fruit without any intervention. So making that the centre of my life would just add too much pressure. Right now, it would even feel like failure. My teacher spirits suggested, very wisely, that I turn it around. My spiritual life has long been my priority, and it is doing just fine. My year’s harvest of the heart is as abundant as that of the fruit trees. So while I slowly get to know this piece of land, I may as well make it an extension of my spiritual practice. I have begun a new practice of walking around the garden once a day, consciously putting my feet on the ground and being aware of the place. As I walk, I listen intently to my body and feel what the garden is telling me. And it is beautiful. The first autumn colours are coming out, just as the fruits hang like bunches of jewels in the branches. The air smells sweet and rich. The Earth is soft and moist, ready to embrace the falling riches. Walking the garden, I feel that same ripe sweetness, that receptiveness in myself. I feel in my body how this time affects me. I feel how the garden calls to me to make it ready for the Winter. And as my awareness stretches to the edges of the garden, I know that I am part of this beauty, part of the wonder of the living Earth. And so I learn to pay attention, with my garden as a training school. My hope is, that slowly, over time, listening to my body will become second nature and extend into the rest of my life. And if all is well, the garden itself will teach me how to become part of its creativity, and show me how to bring out its potential to feed us and support us. I am only at the very beginning of this practice. It would be wonderful if you would share this journey with me. Even if you don’t have a garden, what does it feel like to walk outside at this time? How does your body speak to you? Can you feel yourself as part of the greater whole? Do let us know the results of your experiments. 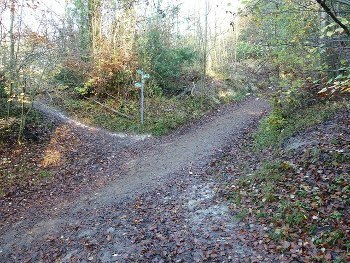 Or if you have travelled on this path before, please share your wisdom in the comments below. Why did I ever think that it would make sense to write the steps on the Four Pathways in order, one by one? Life isn’t that well ordered. And the flow of inspiration takes twists and turns like a river through a landscape. Over the last couple of months, I have been working on my healing. I had another bout of ill health in June, and needed to find a new way of being with my body, with my physical pain. I sensed intuitively that I needed to learn how to listen deeply to the signals of my body. I needed to find ways to let my body teach me what choices to make for health and balance. Unfortunately, that’s less easy than it sounds. I have spent most of my lifetime hiding away from my feelings and from the signals of my body. Listening too closely was painful, and I often got the sense that staying with these sensations would pitch me into an overwhelming flow of difficult emotions. Over a lifetime, I learned that the world is not to be trusted. Things may seem OK right now, but they can turn around without warning and come and bite you. A friend’s betrayal long ago. A parent’s chronic illness and frequent admissions to hospital. No wonder my world felt wobbly. So the first thing I had to learn was trust. I had to let myself believe that in the end, all will be well. The Earth will always hold me in unconditional support. The Sun will always shine its light through the cycles of the seasons. Slowly, I started to relax. I let myself trust. But soon, I came up against another problem. Me. Like every other human being, I’m not perfect. There are a few things about my make-up that can irritate me. I don’t perform well in big groups of people. I tire relatively easily. I fear conflict and avoid it at all costs. Just to give a few examples. But if I want to listen to the messages of my body, I need to listen to those signals too. They are my teachers. They show me without fail where balance is to be found. My personal balance lies in close relationship with one or two people. It thrives in quiet environments where I get plenty of rest. Fear shows me where my boundaries are, and once that is clear, I can choose how to act: by putting up defences (avoidance is one of those) or by stepping outside of my comfort zone. All these things are part of me. And over the last several weeks I have discovered that accepting them, appreciating them, and loving them for the guides they are, does more for transforming me for the better than any attempt at wilfully changing them ever did. Along with acceptance of these parts of myself I once labelled irritating, came the acceptance of other aspects I wasn’t necessarily comfortable with. Those parts of myself that shine and sparkle for all to see, because I’m passionate about them. Those flashes of power that are made up out of my best talents, which are also my greatest vulnerabilities. Self-acceptance demands that I gently hold the dark corners of my soul, but also the bright ones. Somewhere between my fear and my passion, I am connected to my gods, my land and my community. And in that collective, I am truly powerful. Together with all the beings, human, spirit, plant and mineral, who support me through my life, I am fully human, my greater Self. Accepting all that has allowed me to step up and offer something I dearly love doing in service to my community. I am holding my vulnerable self gently and allowing my bright self to shine. This is quite a transformation, and these last few weeks have just been the tail end of a process that has taken many years, and will probably have its wobbles in the future. But this is the essence of the work on the Path of Transformation. Here is a little ritual to get you started. This is a great ritual to perform at this time of Equinox, or at any Waxing or Waning Moon. Find two stones about the size of an egg, one dark and one light in colour. Go to a quiet place, in your home our out in nature, where you can be undisturbed for a while. If you feel the need, cast a circle and perform a ritual opening. Or if your prefer, just relax and let your personal space stretch in a comfortable circle around you. Place the light coloured stone at the Southern point of your circle, the place of greatest light and radiance. Place the dark stone in the North, the place of darkness and shadows. Sit in the centre of the circle and relax for a while. Feel the stillness at the centre. When you are ready, choose to go to one stone or the other, the order doesn’t matter. Pick up the stone. If it is the dark stone, hold it gently and bring to mind one of those things about yourself you don’t really like. That thing you accuse yourself of ‘always’ doing. Just sit with that part of yourself. Let images come of it being in your life. Let it show your its world, its origins, its needs. Just let the images flow. When you are ready, widen your heart and let this part of yourself come in from the cold. Embrace it. Give it love and acceptance. Give yourself love and acceptance. Now get up and move the stone to the West of the circle (or the East at the Waxing Moon or the Spring Equinox). Move to the other stone. Pick it up and hold it gently. With the light coloured stone, bring to mind something you really love, a quiet passion of yours that you feel afraid to show to the world. It may even be something you regularly show to the world but are shy to acknowledge. Sit with that shining part of yourself. Let images come of its presence in your life. Let it show you its potential, its desires. Just let these images flow. When you are ready, widen your heart and let this glorious part of you come in from the cold. Embrace it. Own it. Give it love and acceptance. Give your brightest self love and acceptance. Sit down with the two stones. Hold them both, one in each hand if you wish. Feel both of them in your body, present inside you. Don’t judge. Just allow them to be there. Gently hold all of who you are. When you feel ready to finish, let your circle draw closer to your body, or close your ritual. Take your time to ground and settle. Then take your true self for a walk into the reality of your life. Step onto the Pathway of Sorrow, an introduction. I resisted putting my feet on this Pathway. It felt too overwhelming. The path of Sorrow is about recognising the pain of our world and allowing ourselves to truly feel it. I didn’t particularly relish the prospect. Over the last few of months, though, the world seems to have turned even crazier than it was already. 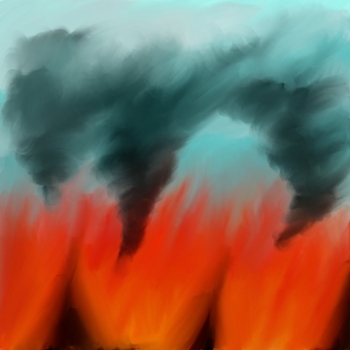 The amount of carbon dioxide in the atmosphere has reached 400ppm. The agreed maximum to prevent disastrous climate change is 350ppm. Still, our governments, and the corporations who influence their decisions, are hell bent on squeezing every last ounce of fossil fuel out of the earth. Both the extraction and the burning of these can only add to the climate change threat. When people stand up to protest against these decisions, and against the power of corporations, it is clear whose side the police is on. Police forces in the western world are supposed to protect the people. Instead, we see them protecting corporate interests and kneeling on the heads of peaceful protesters. Meanwhile, it has become clear that our governments are also spying extensively on our internet activity. Huge databases exist of our everyday e-mails, phone calls and interactions on social web sites. These can be statistically analysed to draw conclusions about people’s political views and activities. Despite promises at the turn of the millennium, global food poverty persists and is worsened by financiers speculating on food prices, artificially driving them up. The land that people rely on for their survival is degraded and destroyed by the greed for oil and by increasing extreme weather events caused by climate change. Species of plants and animals die out at an unprecedented rate. I could go on about injustice done to the poor and disadvantaged in our own societies. Corporate media feed us lies about each other and many of us fall for them. Crimes against minorities increase as a consequence. The madness of it all seems never ending. And we all feel small and inadequate in the face of so much suffering. Do you feel it? Do you feel these realities in your body? Where does the reality of climate change hit you? What visceral feelings are conjured up when you watch police violence? Where in your body does injustice to people make itself known? We all feel this, at least to some degree. Many times, we try to run away from these feelings because we don’t know what to do about them. We numb out, hide our heads in the sand, and choose to soothe the nagging thought that our lifestyles might actually be contributing to all of this. Yet it is important for us to stay with these emotions, to fully become conscious of them. As humans, we are part of this world. Our self-aware brains and our capacity for awareness are part of the large ecosystem we live in. The feelings of threat and desperation conjured by the reality we face are messages from the greater Body of Earth. They tell us we need to wake up and take action. This is what the Pathway of Sorrow is all about. It teaches us how to create safe space for us to feel these emotions, this pain for our world. Allowing ourselves to feel these things both motivates and heals us. Holding on to negative emotions is not good for us. Habitually ignoring strong emotions just adds more pressure to our battered souls. Without fail, the negativity will leech out into our everyday lives. If we are to stand up against the encroaching darkness, we need to keep our souls healthy and resilient. We need to feel the signals of our emotions and then free ourselves of them. First, you need to feel the pain of the world. Whatever it is that confronts you today, whether it’s the threat of yet another war or the dangers of hydraulic fracking, feel it. Feel it wherever it manifests in your body. Just be with it for a while. As you pay compassionate attention to this feeling, you may feel it gently dissipate, or start to flow through your body like a wave. Let the feeling flow any way it wants. 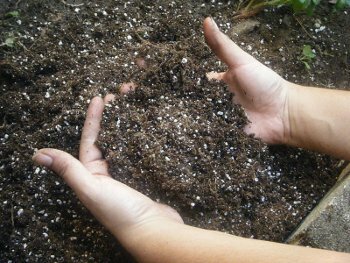 Let it return to the Mother Earth, who turns all rubbish into fertile compost. Now reach for an instance of beauty in the world. If you have walked at least a few steps on the Pathway of Love, you will have no trouble doing this. Bring to mind a source of awesome beauty that you are personally familiar with. Fill yourself with that beauty. Fill the space that, just now, was occupied by the pain of the world. Be with the joy of being alive on this planet. When you feel full and strong, let that also flow out into the Earth and into the space around you. Let beauty and joy expand out into the world. Of course, you can use this meditation to heal any kind of pain. Healing your own issues is just another way to heal the world. Remember: we are all part of the Whole. Whatever we do for just one being, we do for all existences. Do you have practices that allow you to feel your pain for the world and bring healing? Please share them with us. Acknowledge your sources, but don’t be shy to teach us what you know. We all need all the help we can get to keep our souls resilient and strong. In my next few posts, I will develop four steps on the Pathway of Sorrow, each giving us more opportunities to listen deeply to the world and our souls’ tears. – Your body as a map of the world. – Gathering knowledge about issues that deeply touch you. – Letting your feelings lead you to the issues you are most passionate about. – Allowing emotion to express itself. You can find the four steps on the Pathway of Love here. This post owes much to the teachings and writings of Oriah Mountain Dreamer. Chaos. It’s a strong word to use. But these days it really feels like our world is descending into chaos and there is little hope of changing it for the better. Start with the threat of climate change, which is already unavoidable and does and will continue to affect every living thing. Much of it is caused by our excessive use of fossil fuels, which we continue to extract from the Earth in ever riskier ways. Add violence and injustice done to people who stand up for their democratic rights, whether that be the right for political representation or the right to civic liberties. Top that with our disconnection from the food we eat and the processes that go into growing and preparing it. No wonder many of us feel uneasy, angry, overwhelmed and powerless. I recognise it in myself and in many of my friends. For me, my daily practice of building relationships with the Earth and her inhabitants is very encouraging. So I came up with the idea of building a resource of spiritual practices for people who need some balm for the soul. In this crazy world, we all need ways to strengthen our souls. We need practices and new habits that will nourish us and give us the courage to go and out there and act on what we believe in. Four Pathways through a chaotic world: Love, Sorrow, Transformation, and Service. 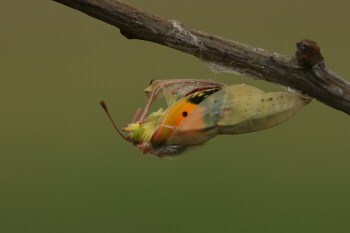 Image by Edward Farrow. I see four Pathways through the chaos: Love, Sorrow, Transformation and Service. In order to survive and even thrive in this uncertain world, we need to strengthen our ties to the people – be they plant, animal or human – that we love. Investing time and energy in the things we are passionate about feeds our souls and makes them resilient. 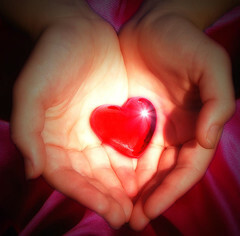 The Pathway of Love is our most important task and our greatest resource. Loving something inevitably brings us to sorrow. So much of what we love is vulnerable and under threat. We feel sorrow for the forests that die, for the extinction of our animal kin, for injustices done to people all around us. Love often hurts. But our society doesn’t give us much opportunity to express or honour our grief for the world. We will need to create a new Pathway of Sorrow, with practices that give us space to express our heavy emotions. The feelings we can express weigh on us less heavily, so we can stand up straight in the face of uncertainty. Love and sorrow naturally lead us to the realisation that we are not alone. We are an inextricable part of the natural world. The separation we have imposed upon ourselves as a culture is an illusion. On the Pathway of Transformation, we need to find rituals and practices that will help us remember who we truly are. Because realising that we are part of the greater whole and can draw upon all its resources of love and creativity makes us so much stronger. From this realisation, we can confidently step out into the world and dedicate ourselves to its service. Whatever it is that we feel deeply called to do is a gift that is sorely needed in the world. We can’t wait much longer. We all need to step onto the Pathway of Service, to give what we carry inside us and to create community around the things we most care about. These are the needs I see. And I know that many people around the world are already thinking and writing and practising along these lines. I have started to add some practices to the Pathways already. But I could really do with your help. Do you know of any practices, teachings, books, or other resources that will help people along any of these Pathways? If so, please share them. Write your suggestions in the comment box below, in the comment boxes of each of the Steps on the Four Pathways, or send them in an e-mail to pathways [at] westacre [dot] org [dot] uk. If the practice is your own, please make that clear so you can be properly credited. If you suggest a resource from another writer, group or tradition, please acknowledge your source with a book title, article reference, or web link. And finally, if you think this is a good idea, let your friends know about it. The more people we get building the Pathways together, the richer and more useful they will become. I look forward to meeting you on one of the Pathways. I am on good speaking terms with quite a few of the trees and plants in this garden by now. But dearest to my heart is the apple tree behind the house. She is a grandmother guardian of this place, a beautiful old tree who still produces masses of apples. When I first made contact with the spirits of this place, the apple tree was one of the beings who made herself felt. She is easily the most impressive fruit tree at Westacre, which was once an orchard. The first impression I got from her was rather distant, and noticeably fay. That’s not a word I easily use. The fairly realms are a mystery to me. But this tree has definite magic about it and seems to know a few secrets about the hidden life of this place. It took me a while to get to trust her. But as our relationship progressed, it became clear that the grandmother apple tree is very willing to support me in my Westacre adventures. Often, she is the centre point of my rituals or the guardian of my meditations. When I made a commitment to work with Westacre for the good of all beings, the old apple tree was the centre of my rite, with a web of light radiating from her in all directions. She asked me to share her fruit with as many people as possible when the time is ripe. Lately, I have been attempting to heal my lack of trust in the world. I have been guided to find a home in my still centre. The hollow apple tree has showed me the way. She has also wrapped me in her protective aura, allowing me to relax more fully into the present moment. We’re becoming fast friends, the apple tree and I. And I believe these kinds of relationships are essential if we are to strengthen our connection with the living world around us. If you already regularly talk to trees, animals and flowers, you’re on the right track. Just keep doing it and see what wisdom you can gain. However, if you’ve never struck up a friendship with an other-than-human being, try this exercise. Go outside. It doesn’t matter if you are in a city. Just keep your senses and your heart open. Just allow yourself to wander. Listen with your whole being. Something will call to you. When you have identified the other-than-human being you are going to strike up a conversation with, don’t just rush in. Take your time. Feel how far the presence of that being reaches out. Trees can have quite a large presence. If you are listening, you can often feel their edge quite some distance from the rim of their canopy. The wind, of course, reaches just about anywhere. But even a flower can radiate its presence a surprising distance from its petalled heart. Ask permission to enter into communication with your new friend. With your senses and heart open, gently feel your way. If this being seems unwelcoming, leave it alone and try again another time. If you sense a welcome, just stay with this person for a while. They may not be human, but they have a lot to teach us about how to be in the world. The main secret about these conversations is that they are 90% listening on our part. Just sit and listen, with all of who you are. Stones and trees can be slow to speak. And the language of the rain is alien to our ears. Take time to learn the rhythms of your new friend. When you are ready to leave, give thanks. You may want to give another gift in return for what you have received. Sing a song, leave a strand of your hair, or a libation of liquid – make it something that won’t impact on another person’s enjoyment of the place. Record in your journal what you have received and visit your new friend often. This exercise owes a debt to the teachings of Emma Restall-Orr.